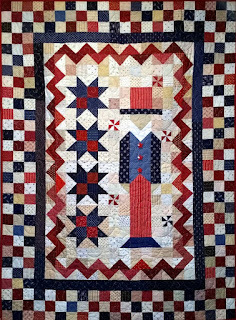 Kerry's Quilting: The Big Reveal! 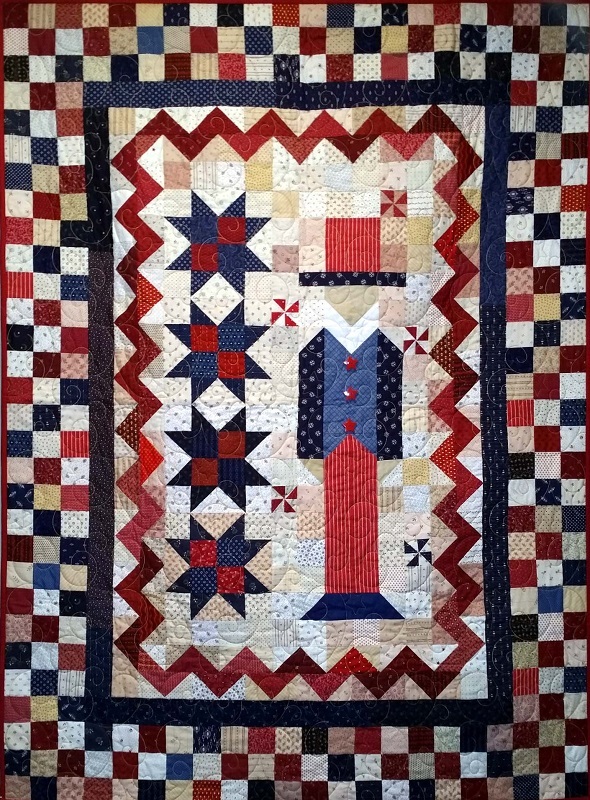 Here is my Sunshine Challenge Quilt-Uncle Sam. This pattern is from Quiltmaker Magazine July/August 2000. Yes, it is that old! Thanks to Sunshine Quilt Guild for giving me a reason to finally make it! I will be hanging in my office at work from Memorial Day through the Fourth of July. Too cute! Almost (almost!) makes me wish I still worked in an office, so I had an excuse to make and hang this clever quilt!